RSNA under a generous grant from FUJIFILM supports the RSNA International Visiting Professor Program. 4-6 IVP programs are supported each year coordinated via the Committee on International Radiology Education – CIRE. This year the IVP program supported a trip to Ghana. The Ghana Radiologic Society requested educators in pediatric radiology and interventional radiology. I was invited to participate with Dr. Ann Roberts an interventional radiologist who has traveled extensively teaching in previous IVP programs in Nigeria and Nepal. Project title: Deutsche Gesellschaft für Internationale Zusammenarbeit (GIZ) and European Union programme: "Strengthening of Medical Care in Malawi"
TB infection control in Swaziland is a priority health concern given the high rate of people living with HIV/AIDS and co-infected with TB (85%in adults and 60% in children). The South Africa Society of Paediatric Imaging/SASPI (click here and scroll down for details) has expanded its mission to include outreach support to centres in South Africa and neighbouring countries lacking paediatric radiology expertise. ICAP (Columbia University) has been supporting regional multidisciplinary mentorship teams in Hhohho, Lubombo and Manzini Regions in their integration of HIV and TB issues into health facilities in collaboration with CDC Atlanta and the MOH. ICAP has also been working with the national HIV and TB program to reinforce and centralize TB/HIV collaboration activities including building technical capacity of site providers to decentralize TB services. The visit rationale: support a QI exercise on the radiology department with the technicians and facilitate an on-site session with physicians to strengthen their reading skills of X-rays and with sonographers in point of care ultrasound when diagnosing TB in children. During the teaching and training sessions at the different centres, the critical importance of lateral chest x-rays in assisting with the diagnosis of TB was emphasized. Click below for 7 minutes videso on the interpretation of frontal and laterial x-rays in TB, produced by SASPI member Prof. Savvas Andronikou. The SASPI team also observed that ultrasound equipment lacks a linear, high frequency ultrasound probe, essential for better detection and assessment of splenic micro abscess/lymphadenopathy in TB. Due to the shortage of specialists, paediatric x-rays are interpreted by the medical officers and interns. These doctors need support in interpretation of difficult cases. However, there is no digital x-ray machine and therefore images would need photographing for uploading via mail/a platform. SASPI has offered to assist the doctors in the interim but a more sustainable solution needs to be found. The new TB clinic at the Baylor Center is a welcome addition to Swaziland's healthcare services as it will provide access to pathology and radiological investigations in one center. SASPI has offered it assistance with the training of the new staff in paediatric x-ray and ultrasound technique and interpretation of pulmonary and extra pulmonary manifestations of TB. Update June 2015: a second visit to the clinic is being planned; sponsorship avenues look encouraging. The French-speaking Society for Pediatric and Antenatal Imaging (SFIPP) offers assistance to medically underserved areas as part of its scope of action. The 2nd course of pediatric Ultrasound for general practitioners was held in Rwamagana, Rwanda, organised by Drs Anne Geoffray and Edith Rivoal, pediatric radiologists in France and members of SFIPP (French society for pediatric and prenatal imaging, WFPI member). 25 general practitioners (GPs) coming from all district hospitals or health centres in Rwanda attended this 4 days course run from 3-6 February 2014. The educational aim: provide these primary health centres' GPs with the basics of pediatric ultrasound so as to diagnose their patients and make timely decisions regarding the transfer of patients to another hospital for further surgical treatment or imaging. 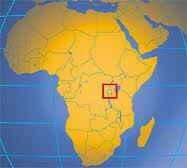 There are only 7 radiologists in Rwanda for a population of 10 million people. All of them work in Kigali and have access to CT and MRI. This second course was again both theoretical and practical: theoretical presentations in the morning (normal anatomy, main pathological anomalies, how to reach a diagnosis, etc. ), practice on patients from local facilities in the afternoon. Every doctor attending the course was able to conduct practice studies on each day of the four days. The course covered all pathologies, with a main focus on abdominal, and the teaching included transfontanellar for neonatal evaluation. All the participants were actively engaged in the course, raising many questions. A short evaluation was undertaken on the last day. As was the case last year, we plan to stay in contact and monitor this group so to ascertain the realities of their practice and discuss their difficulties with them. We could consider organising a second-level course in the coming years. For us, the teachers, it was again a busy but rewarding time. The students are enthusiastic and willing to learn, the needs are important. We also learned a great deal through our involvement in this educational initiative. A THIRD COURSE HAS TAKEN PLACE IN 2015 along similar lines. Drs. Geoffray has also joined WFPI's Médecins sans Frontières/Doctors without Borders' team as a pediatric imaging tele-reader and we are seeking to draw Drs. Geoffray and Rivoal into WFPI's network for ultrasound in lower resource settings so as to benefit from their work with Rwanda's Ministry of Health and invaluable teaching experience.